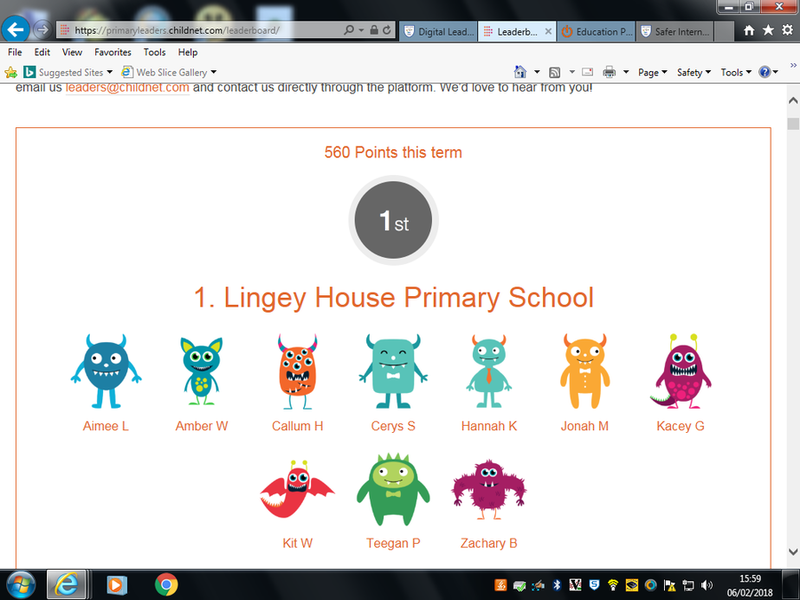 Children have completed their training and we reached first place on the leader board. Children met for the first time to start their digital leaders training. Children logged on to the website and completed their first module - finding out about the digital leaders programme and about the term 'Digital Footprint'. Children gained two badges in this session, achieving 125 points per person. Digital Footprint - Everything you publicly post online that leaves a trace back to you. Everyone can see your digital footprint, so it's important to think before you post.